Not long ago, a group of savvy business partners sat together enjoying a beer and doodling ideas on their cocktail napkins. In 2013, their collective dream of a high-end ramen house became reality when AGU a Ramen Bistro opened with fanfare at its first location at the Saint Louis Alumni Association. A recipe for instant success, more AGU locations sprang up on Oahu over the next couple of years — at Ward Centre, and Kapolei Marketplace. Soon, there will be locations in Waikiki and Pearlridge Center. To help facilitate this rapid growth, the AGU Magic Kitchen opened as a central place where all of the stocks are cooked for all of the restaurants. It also serves as a sort of culinary workshop where AGU’s driving force and visionary, Chef Hisashi conjures up new menu ideas. 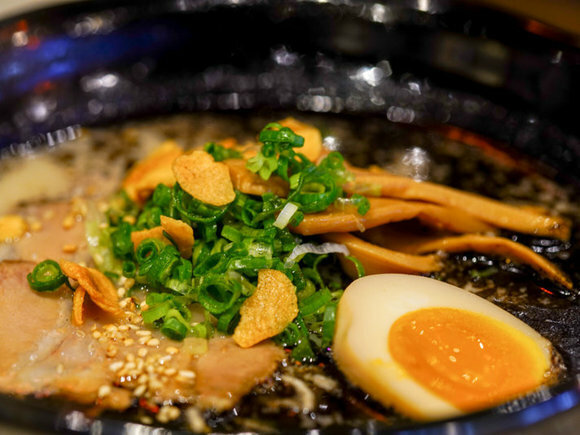 Hisashi, Executive Chef and Owner, named his premier ramen bistros, “AGU” after the term given the highest-grade pork from his native Okinawa, Japan. 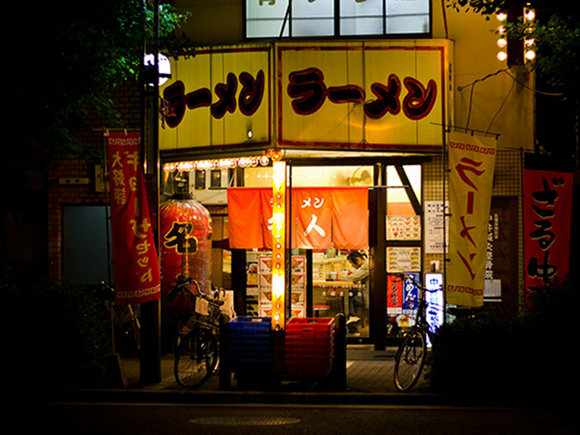 Tonkotsu Ramen is considered by many to be the “king of ramen”. Every day, up to 480 pounds of pork bones are slowly boiled at an extremely high heat for more than 18 hours in order to create AGU’s signature, creamy yet hearty, tonkotsu broth. The resulting enticing rich flavor speaks of the love that goes into every bowl. Only the freshest, exceptional ingredients are used in the dishes served at AGU. The rich, clear chicken broth is made using organic, cage-free Jidori chicken that has been raised on a vegetarian diet. Noodles are made fresh daily from a special house recipe. Every soup specialty and dish at AGU is created with gaman and a little extra Aloha! Our ramen cannot be rushed!"